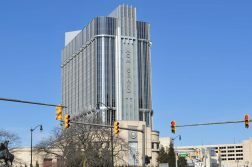 The three Detroit casinos won $114.6 mm from gamblers last month, an increase of 4.1% over February 2018, according to figures from the Michigan Gaming Control Board. In February of last year, gaming win fell 6.1% compared to February 2017, so last month was a welcomed turnaround for the market in the second-coldest month of the year. Factoring in the 0.5% year-over-year revenue gain in January, year-to-date revenue for the first two months of 2019 was up 2.3%. The $1.44 billion was up 3.1% over 2017, the best performance for the Wolverine State since revenue grew 3.2% in 2015. According to the MGCB, MGM commanded 43% of the market last month. The MGM Grand Detroit property won $49.5 mm, up 7.9% year-over-year. MotorCity reported a 1% revenue increase to $38.7 mm, and Greektown’s revenue was up 1.9% to $26.4 mm. The casinos paid $9.3 mm in state gaming taxes on the $114.6 mm, up from $8.9 mm in February 2018. The city of Detroit received $13.6 mm based on the casino winnings. As mentioned, the Detroit casino market saw gaming win grow 3.1% in 2018. That’s decent growth, considering that it fell in line with the the uptick for nationwide commercial casino win in 2018. However, policymakers aren’t going to sit on their hands, especially as the state of Indiana, which sits directly south of Michigan, has a gambling market in stagnation. Michigan eventually needs to modernize its existing gambling industry, and many in the Wolverine State are done waiting. The hurdle on the horizon right now is what to do about the tax rate for online gambling (8% to the state plus 1.25% to Detroit). That tax rate would also apply to mobile sports betting. 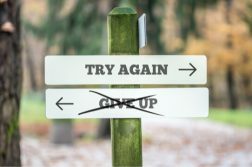 A single sentence in the legislation would allow for the MGCB to authorize online sports betting in the absence of a stand-alone sports betting bill, which hasn’t been introduced in Michigan this year. At a hearing in Lansing last week, several state agencies under the administration of Gov. Gretchen Whitmer, a Democrat, indicated opposition to the legislation in its current form. A pair of proposed amendments for raising the state online gaming tax rate to 16% were shot down by a House committee, but that debate is far from over. 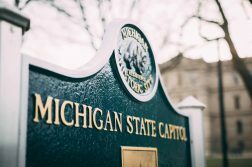 Under the legislation, Michigan tribes can also offer online gambling under the regulation of the MGCB, and they would pay the same state tax rate as the Detroit casinos. In New Jersey, which has a 15% internet casino tax rate (compared to 8% for brick-and-mortar gaming win), revenue from the Atlantic City gaming floors grew 4% in 2018 alongside the booming internet operations. Michigan wants a similar result. For Whitmer, potential revenue losses to the state’s School Aid Fund are likely of high concern, which the fiscal analysis found could be the situation.